No matter how young or old you may be and whether you want to admit it or not, I believe that everyone feels a little more special on their birthday! This is why I try really hard to keep track of as many of my friends, associates, and co-workers birthdates so I can take a couple moments out of my day to wish them a Happy Birthday! As little time and effort as this takes, just think about how many people in your life never take the time to do so. Just that same, how often do you get busy with everyday life and forget or decide not to make time to pass along your birthday wishes? Each and everyday, I do my best to wish those that I know a Happy Birthday on their appropriate day. Now I have a handwritten list that I have added to for years that I keep in my briefcase but of course modern technology really helps keep you current on such dates with Facebook, Twitter, and other social medias that kindly remind you of daily and weekly birthdays! Happy Birthday which is a celebration of the day in which one was born is also a phrase or greeting that can really brighten someone’s day to know that you took time out of your day to celebrate with them even if only for a few moments. I have typed, texted, and mailed countless Happy Birthday Greetings in my life and have even gotten a little creative with live serenades, vibrate singing phone calls, and even a few birthday raps left in voicemail boxes. It’s a little thing that may make someone’s day and in the big picture makes our world a better place, so take the time to spread a little Happy Birthday Cheer! 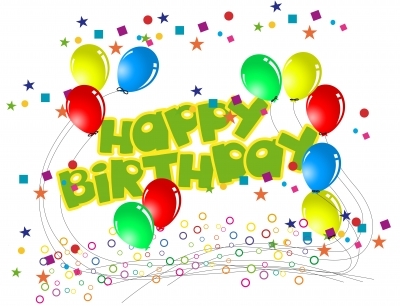 This entry was posted in Education, Inspiration and tagged Birthday, E-mail, Friends, Happy Birthday, Holidays, Joy, Online Communities, Twitter, Wishes. Bookmark the permalink.